Avinash Kaushik published an important blog post last week entitled “Multi-Channel Attribution: Definitions, Models and a Reality Check.” It’s a valuable framework for understanding attribution, which is a fancy way of saying “how we understand the impact of marketing and advertising content on sales.” If you’re in marketing–or if your business depends on digital marketing–you need to read it. Multi-Channel Attribution, Online to Store (MCA-O2S). MCA-02S, he says, is what executives are usually after when they ask about attribution: how can we understand the impact of digital campaigns on offline (or other channel) sales? Multi-Channel Attribution, Across Multiple Screens (MCA-AMS). Given the fact that many of us live four-screen lives (computer, phone, TV, tablet), MCA-AMS is an escalating problem; it is difficult-to-impossible to recognize an individual across multiple devices. 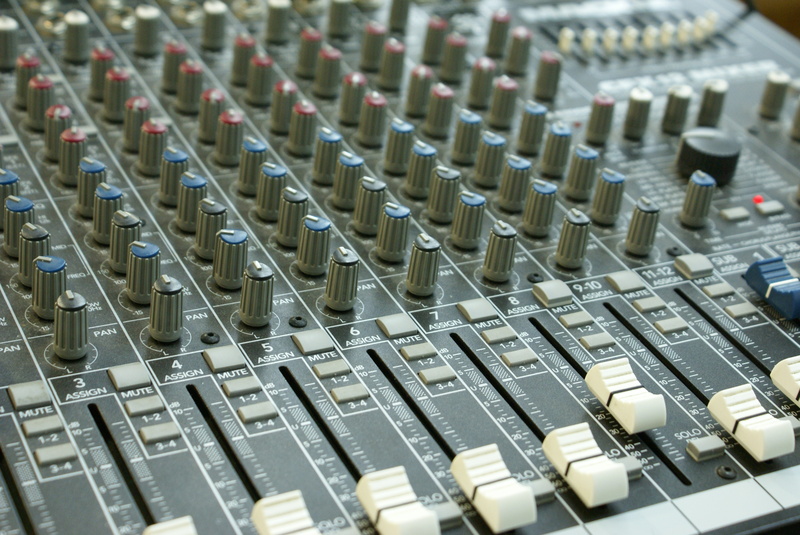 Multi-Channel Attribution, Across Digital Channels (MCA-ADC). This is what our industry can (arguably) measure today, assuming, as Kaushik points out, that we’re using a single device across all touchpoints. As if all of this weren’t complicated enough, there are two other dimensions we will need to understand when looking at attribution: 1) the impact of sharing behavior; and 2) whether the content in question is paid (advertising) earned (PR or social) or owned (created by the company). What if I am on Facebook, or Twitter and share a piece of digital content in my stream or newsfeed? Assuming I am an average Facebook user with 140 friends, this expands the potential impact of that piece of digital content 140-fold (not including friends of friends). While it’s valuable to know my impact as a purchaser, isn’t it equally valuable to understand my impact as a catalyst to others’ purchase behavior? From a marketer’s perspective, I am now part of that attribution chain (or should be). Charlene Li has discussed this idea of “social” total customer value (sTCV) before; the idea that, if I see an ad for a Fitbit, for example, I may not buy it myself, but may instead share it in my newsfeed, thereby prompting three of my friends to buy it. So is my effective value to FitBit $0, or some portion of the total of $99.95 x 3 = $299.85 that my friends spent? Although our tools can’t yet capture the effect of sharing, that fact doesn’t stop us, in a human way, from registering the impact of that experience. As customers, as people, we expect a certain degree of recognition for using the power of our networks to refer others. So what we consider to be a “marketing” problem also affects the customer experience; do our customers feel appreciated for their generosity in extending our brand? Is there some kind of value exchange we can offer them? Clearly this has impact on loyalty and referral programs, and is just a tiny example of the ways that social behavior flattens (and strains) the organization. As with any model, this one is a bit outdated, in that digital, social and mobile blur the hard line among the three. If I see an ad (or YouTube video) on TV, then go to YouTube and share it with my friends (think Old Spice Guy), that asset begins as paid (by virtue of being an ad), then becomes owned (when it’s posted on YouTube) and earned (when it shows up in my friends’ news feeds). If I’m a marketing analyst, I want to understand so many things: the TV-to-social behavior (which I can’t yet measure), the impact of having viewed the commercial on preference/purchase and the impact of having shared this content with friends. Complicating this question: across how many screens did these activities take place? This is why definition is so important; we can only begin to solve a problem once we fully understand it. This is why Kaushik’s post is a critical read. I’m currently working on a research report on the revenue impact of social media, so all of these themes are top of mind. And all of this connects to several research themes that guide our work at Altimeter Group: The Dynamic Customer Journey, the Adaptive Organization and the Sentient World. The ways consumers move through the world and the strains this creates on the organization are being compounded by the fact that more and more everyday objects collect and transmit data. From my point of view, one of the key questions becomes: how can we understand cause and effect in this (brave) new world? I’d love your feedback, thoughts and questions, as always. And if you have a great case example of any of this–including how and what you measured, and what were the results–I’d love to hear from you. This entry was posted in Multichannel, Research, Social Analytics, social commerce, Social Graph, Social media, Social media measurement, Uncategorized and tagged Avinash Kaushik, Google, Multichannel Attribution. Bookmark the permalink. Excellent post Susan. As a web analyst turned social strategist – I find your take on Avinash’s post really hit home. As we think about MCA models – I think a general rule of thumb will be that the further away a channel gets from the purchase funnel – the more difficult it will become to measure. Social’s challenge is that it is often quite high in that funnel – often rendering it difficult to properly incorporate into MCA models. 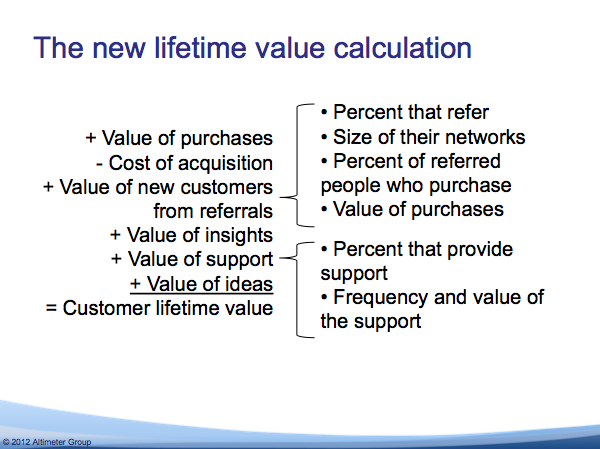 In the case of lifetime value calculations, these calculations become all the more complicated. Via social, customers effect other customers right through the funnel – from initial education, right through to support/loyalty. I think the key is to understand what types of sharing/content is effecting different parts of the funnel. This gives a better understanding of how social effects real business results and can provide KPIs to help measure impact across various channels.